Pete Cannon x Dr Syntax ft/ Jehst x Del Tha Funkee Homosapien – Do what We Wanna Do | "Up to date / state of the art / take part, get taken apart as I make my mark"
Here’s the slightly bonkers new video for Dr Syntax and Pete Cannon‘s recent collaboration with Jehst and The Hieroglyphics’ Del tha Funkee Homosapien. There is definitely a little weirdness in the El Tacodor drawn visuals which reflects the emcee lineup on the track. 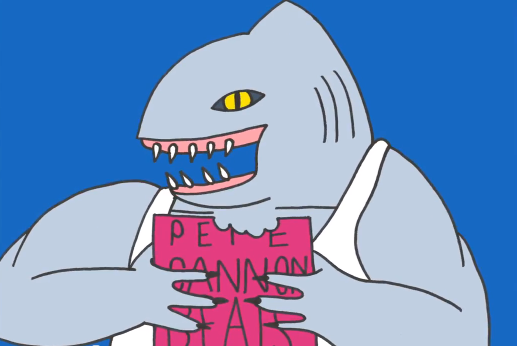 Taken from the forthcoming Doc Synners and Pete Cannon album Killer Combo which drops March 2014. This entry was posted on February 5, 2014 by Koaste in Hip Hop Videos, Live From The UK and tagged Del tha Funkee Homosapien, Dr Syntax, Hieroglyphics, Jehst, Killer Combo, Pete Cannon, YNR records.